Japan's next solar physics mission, Solar-B, is a follow-on to the highly successful Japan/US/UK Yohkoh (Solar-A) collaboration. The mission consists of a coordinated set of optical, EUV and X-ray instruments that will investigate the interaction between the Sun's magnetic field and its corona. The result will be an improved understanding of the mechanisms which give rise to solar magnetic variability and how this variability modulates the total solar output and creates the driving force behind space weather. The Institute of Space and Aeronautical Science (ISAS) in Japan will provide the spacecraft, the launch vehicle (MV), and major elements of each of the scientific instruments. The spacecraft is being developed by Mitsubishi Electric Corporation (MELCO) and will accommodate three major instruments: a 0.5m solar optical telescope (SOT), an X-ray telescope (XRT), and an EUV Imaging Spectrometer (EIS). The EUV imaging spectrometer (EIS) is being built by a consortium led by MSSL in the UK. EIS consists of a multi-layer coated single mirror telescope, and a stigmatic imaging spectrometer incorporating a multilayer coated diffraction grating. The image produced by the primary mirror is imaged onto and entrance slit/slot and the light which passes through this spectrometer aperture is dispersed and re-imaged in the focal plane of the CCD detector. The group at Birmingham in collaboration with McLaren Composites Ltd, are building the structure and vacuum door for the optical filter with MSSL providing the CCD camera electronics and the main instrument electronics system. The CCD imaging detectors for EUV detection have been procured from UK industry by E2V Ltd. The Naval Research Laboratory, Washington DC, in association with the NASA Goddard Space Flight Center, Greenbelt MD, will provide the instrument's optics and their mechanisms, including the entrance filter, multilayer-coated mirror and grating, and the spectrograph slit. Rutherford Appleton Laboratory will carry out the EUV calibration programme, environmental testing and contamination control of the instrument. On the 22nd September 2006 Solar-B was launched from the Uchinoura Space Centre in southern Japan. 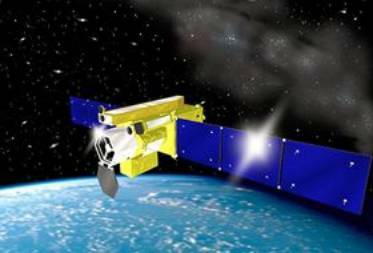 The NAOJ Solar-B website contains up-to-date information on the Solar-B (Hinode) mission. Please view the links below to find out more detailed information about Solar-B. EIS Thermal Design and Analysis.